We’re taking part in the Paint-a-thon this year where bloggers are joining together to share 101 fun and different ways to paint. 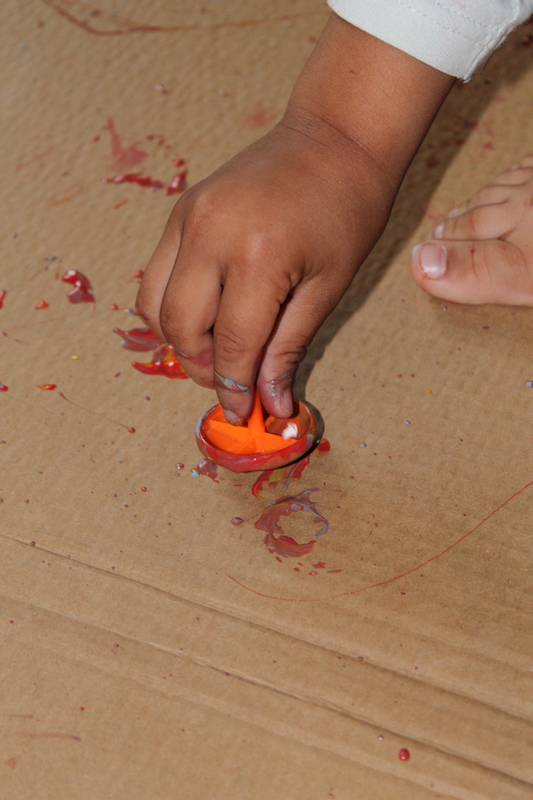 We love experimenting with different painting activities, and I decided to get out a few spinning top toys and give them to the kids to use with their paint, instead of brushes. 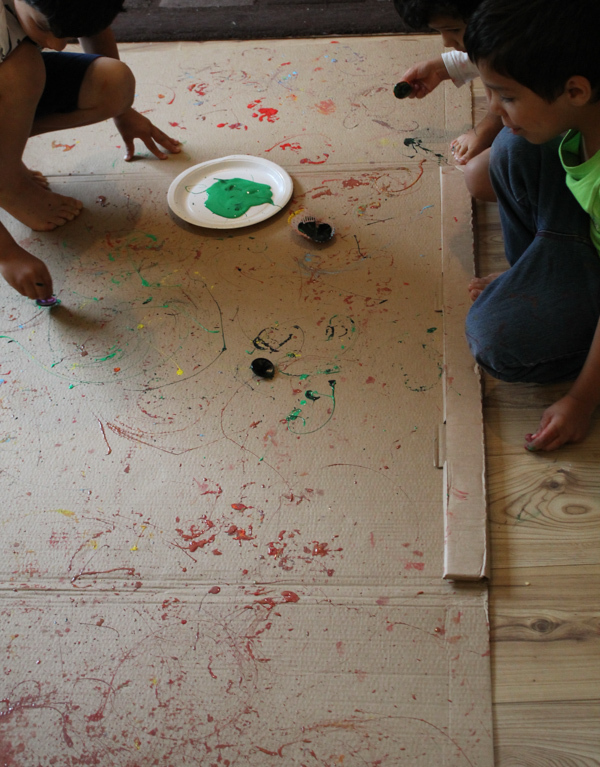 We set out a huge piece of cardboard to cover most of our living room floor, and got to work with our fun active art session. 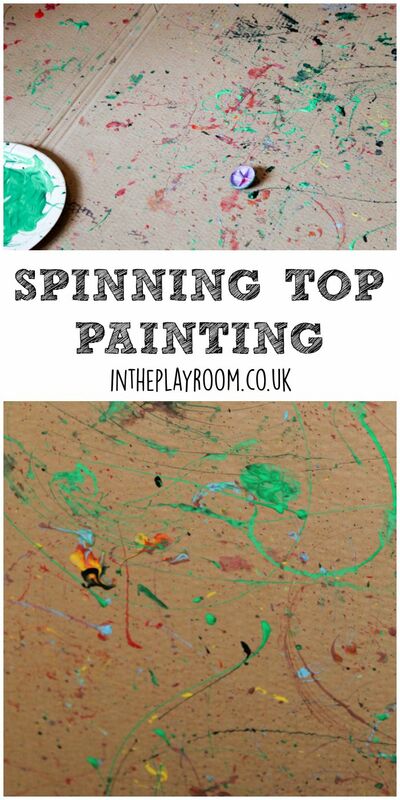 The boys definitely enjoyed this style of painting, and I’m sure we will combine our spinning tops with paint again! 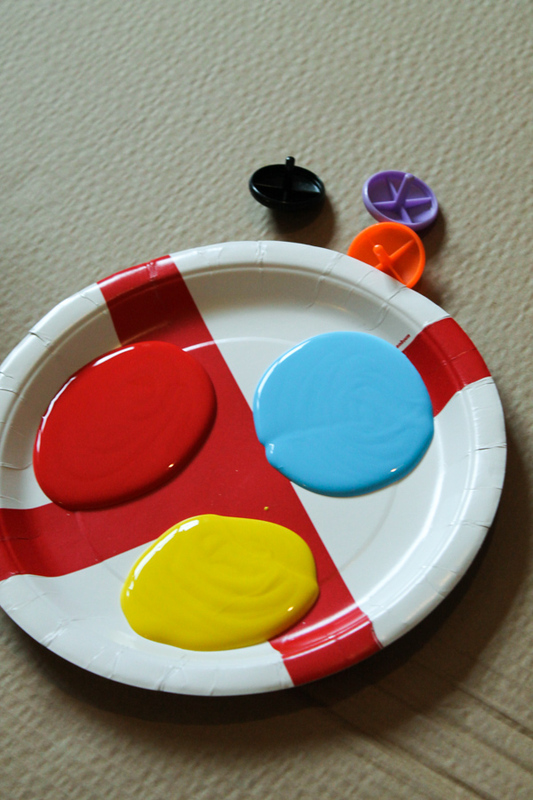 Coloured paints. We used ready mixed children’s paint. 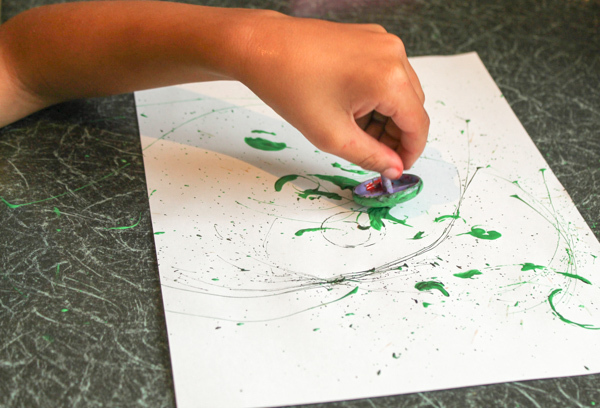 Then just dip the spinning tops in the paint, and spin them on the cardboard or paper and you will start to see swirling designs appear. 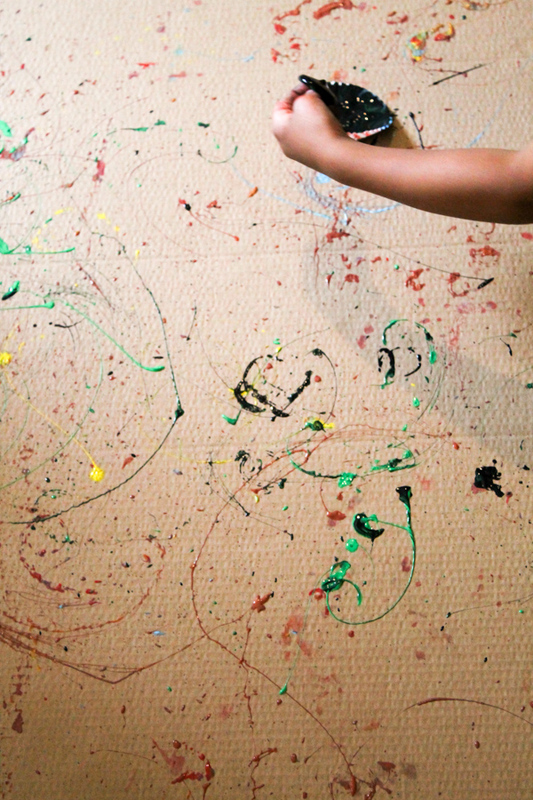 If you spin fast, paint can fly out and splatter quite far which is why the large cardboard is a good idea! It can be quite messy. The boys got their hands and feet painty too, but that’s all part of the fun! The smaller scale version on paper is less messy though, and is fun too! I want to try the smaller version on watercolour paper with liquid watercolours to see how it looks with those pretty watercolour colours. We made a video of this spinning top painting activity too since it show off the process much better than just the pictures, so I’ll upload that and share soon!